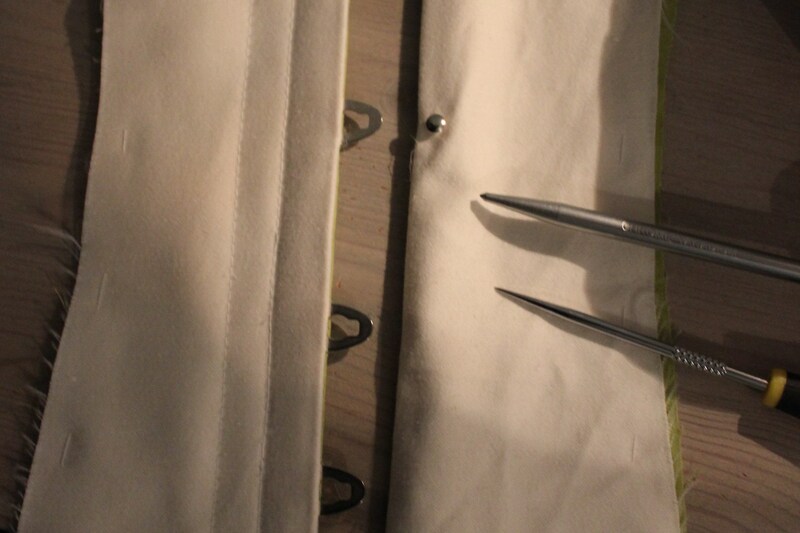 For the HSF nr 3 this year: Innovation, I knew I needed to make something usable for the up-coming bal. 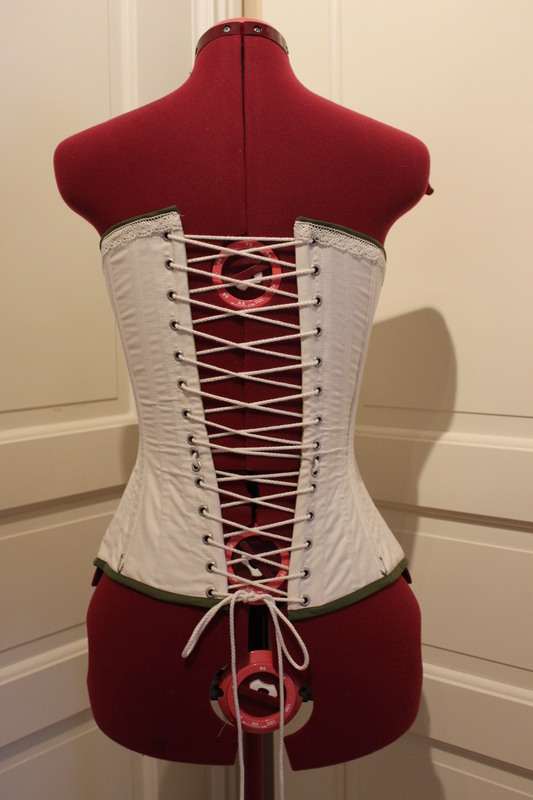 And since you can’t make a balgown without the right foundation wear, I decided to use this challenge to make a 1880s corset. 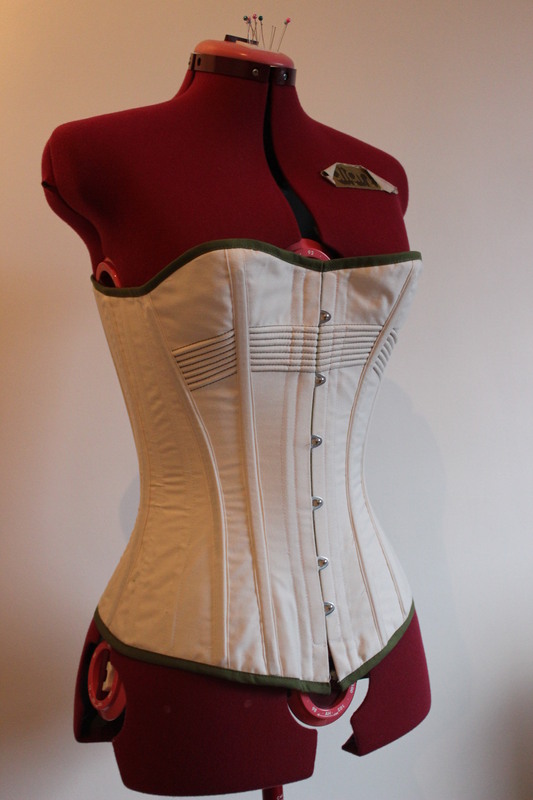 I re-used the 1880s corset pattern from Nora Waughs Corset and Crinolines. 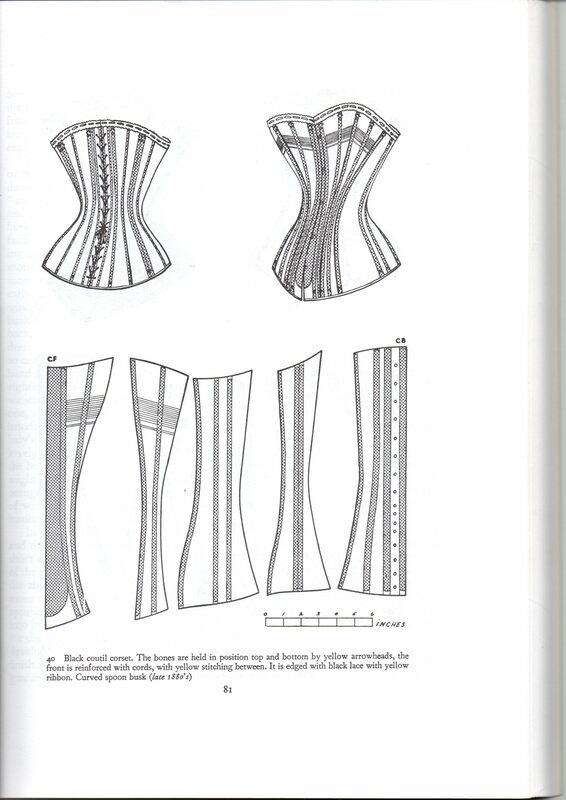 (I prevously made a black corset from this pattern for my sister). 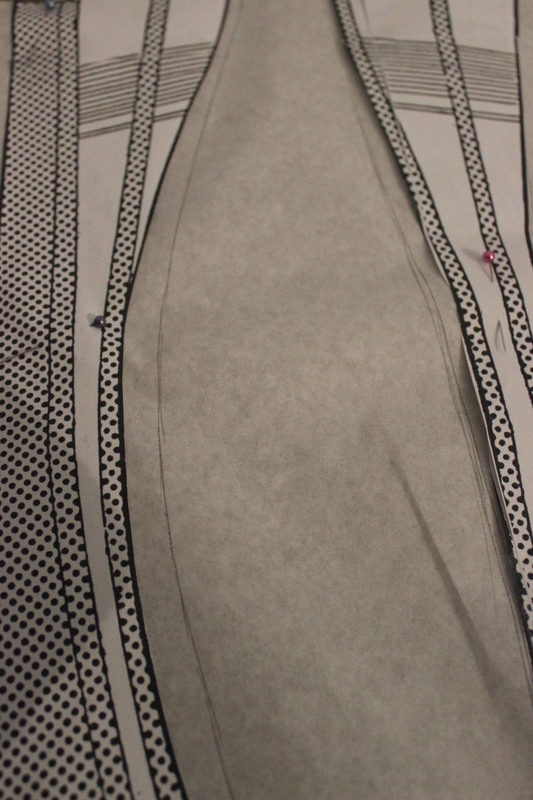 I started by adding some extra widht to the pattern to bring it closer to my measurments. sewed it together and tried it on. It fits suprisengly well. 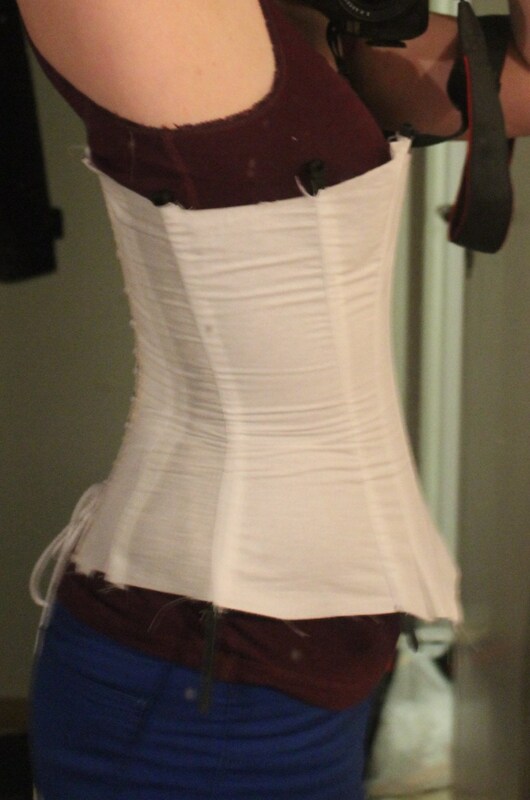 The only thing that needs to be changed is to take out a bit on the top back, to get a more even lacing, and to re-shape the bottom front to make the curve over the stomach nice and smoot. 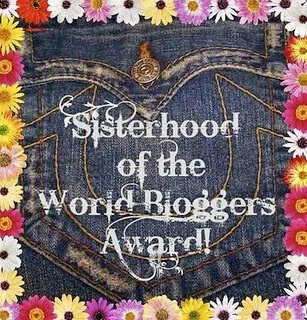 Then it was time to bring out all the fabric and notions. 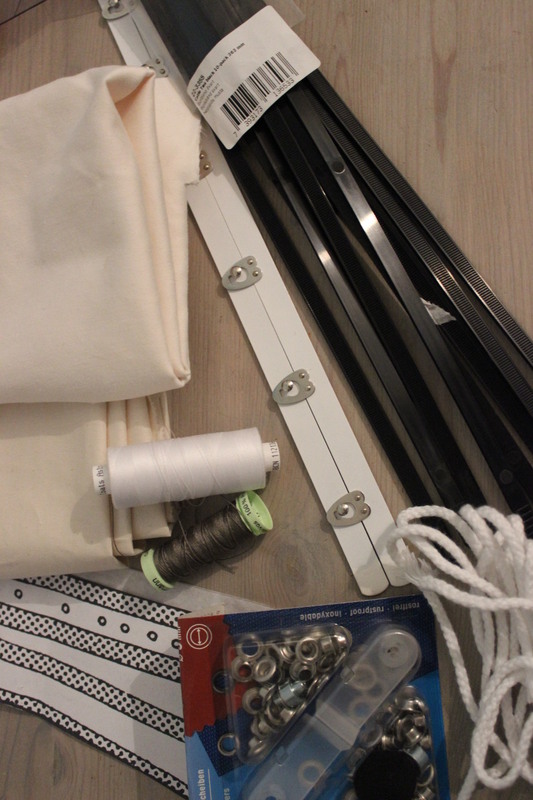 (here I got: a cream cotton sateen, a cream cotton interlining, a busk, lots of plastic bonning, thread, the pattern, grommets and lacing cord). 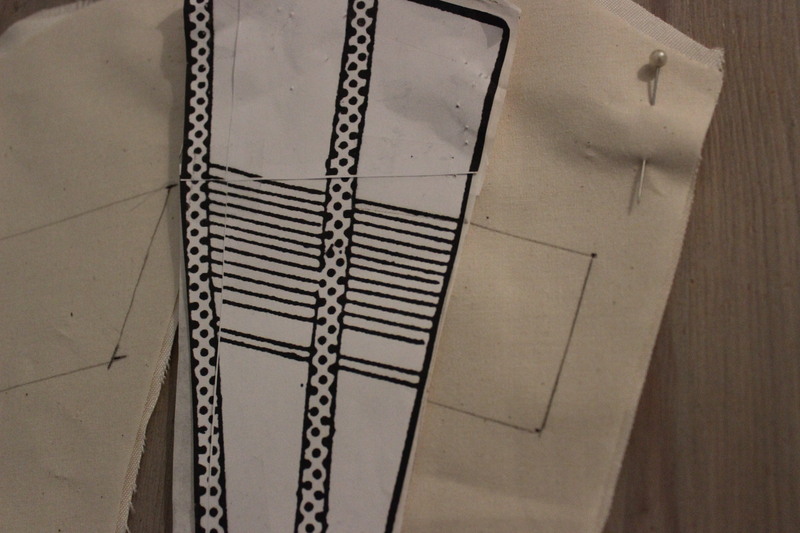 Then I cut the fabric, basted on the interlining and marked the space for the piping, and sewed them in. 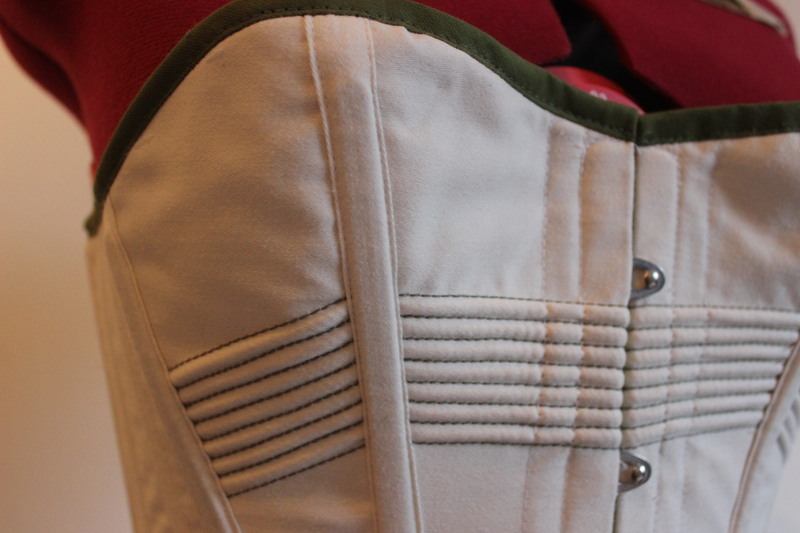 Close-up of the piping, sewn in green button-hole thread. 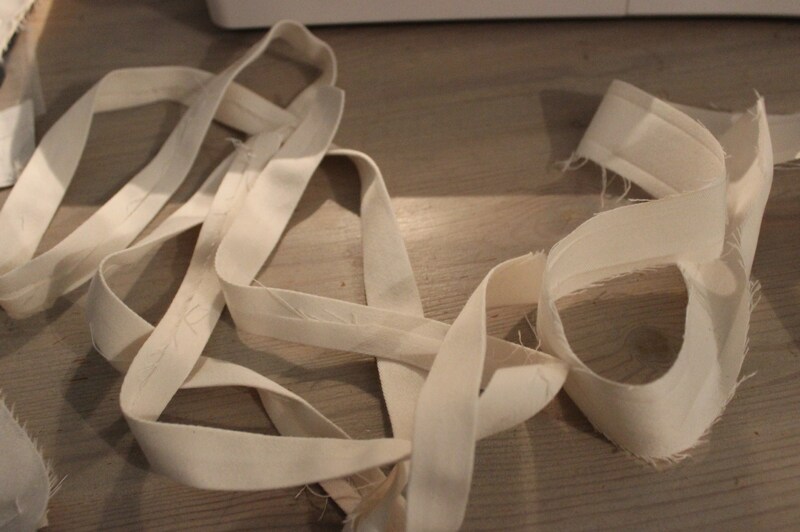 Then I sewed the pieces together twice – for strengt. 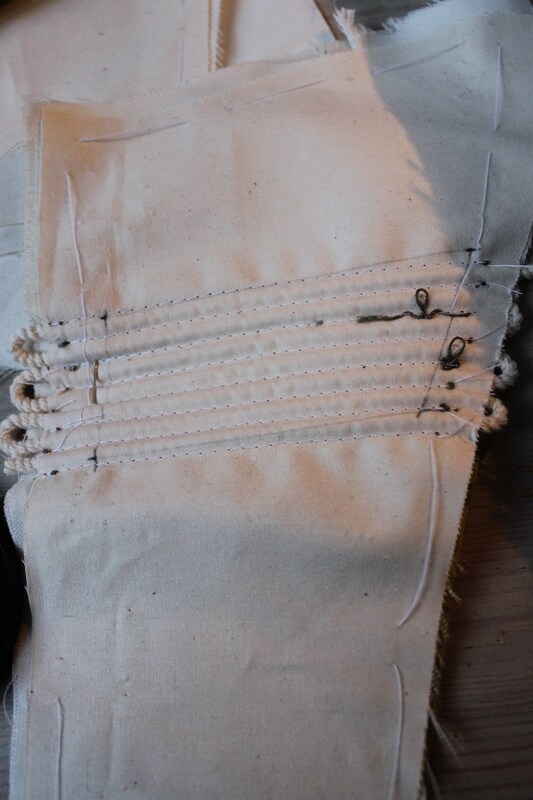 Setting the busk using awls to get the studds through the fabric without ripping it. 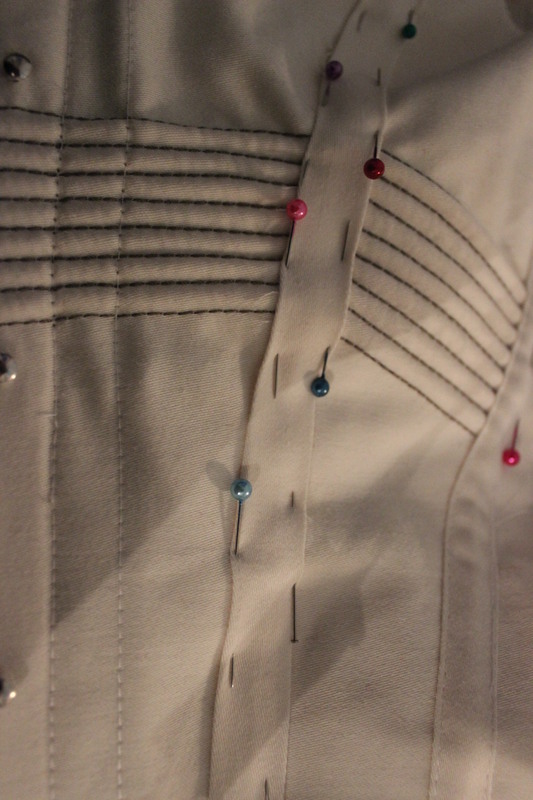 And leaving holes while sewing to get the eyes through. 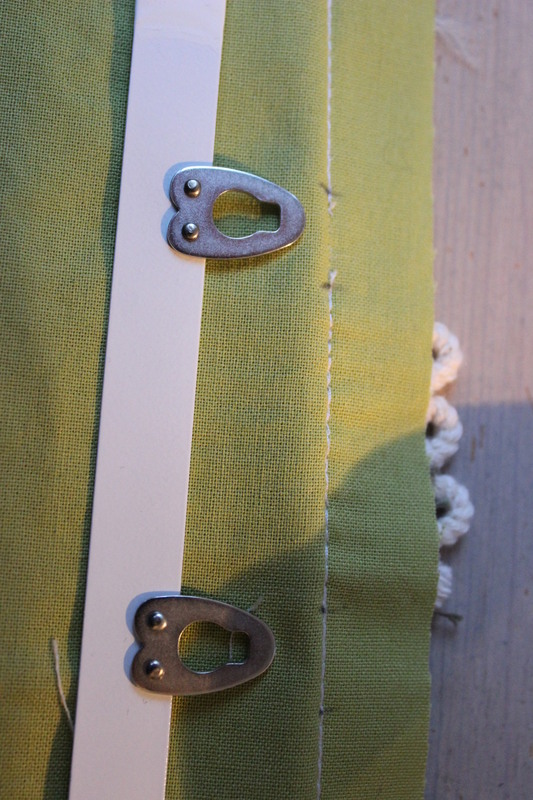 I made lots of self fabric bias trim to use as boning chanels. 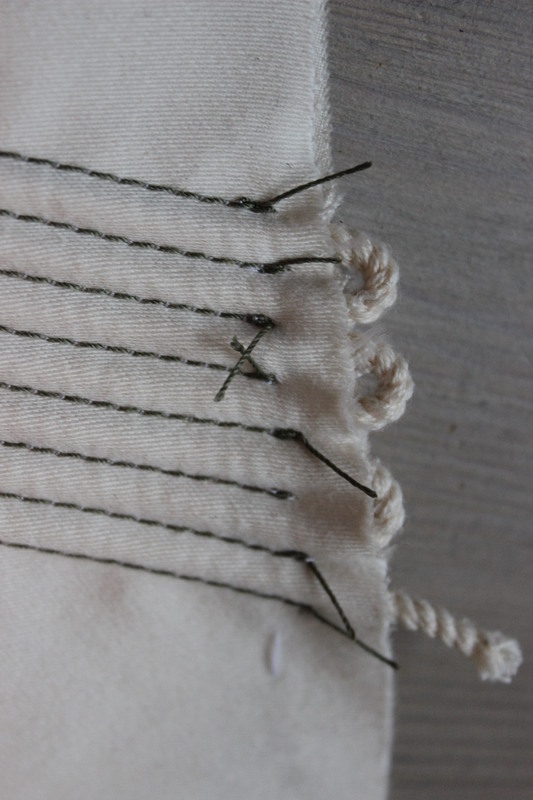 Sewing them on from the outside. 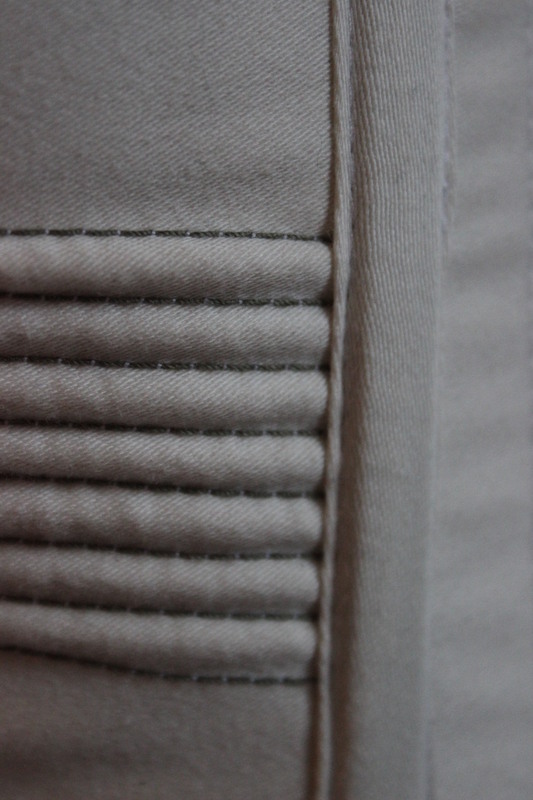 And snipping the seam-allowence on the inside. 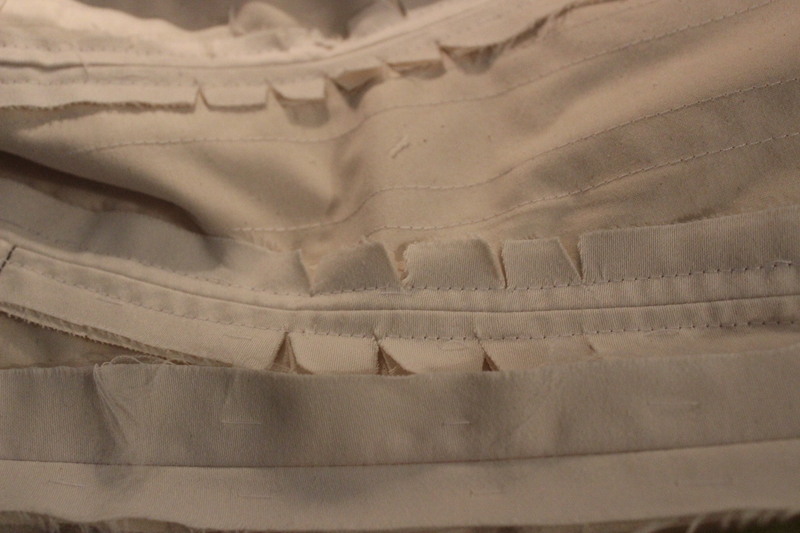 When the gromets, the busk and the boning chanels (no bonning yet) are done, its time for the lining. 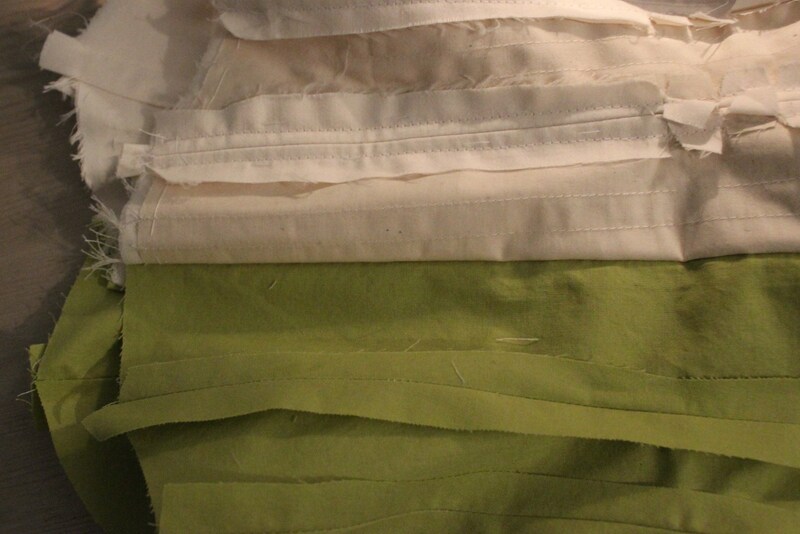 I choose a light green cotton lining from my stash. 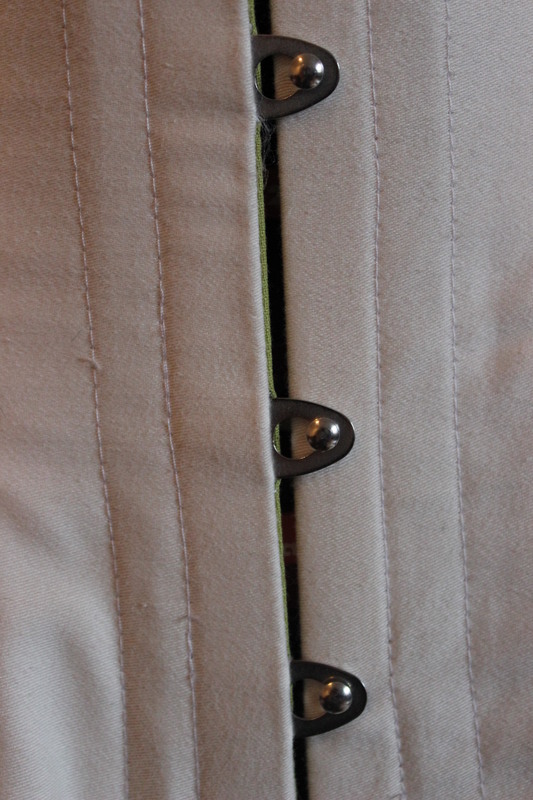 Corset with lining sewn on – before turning. 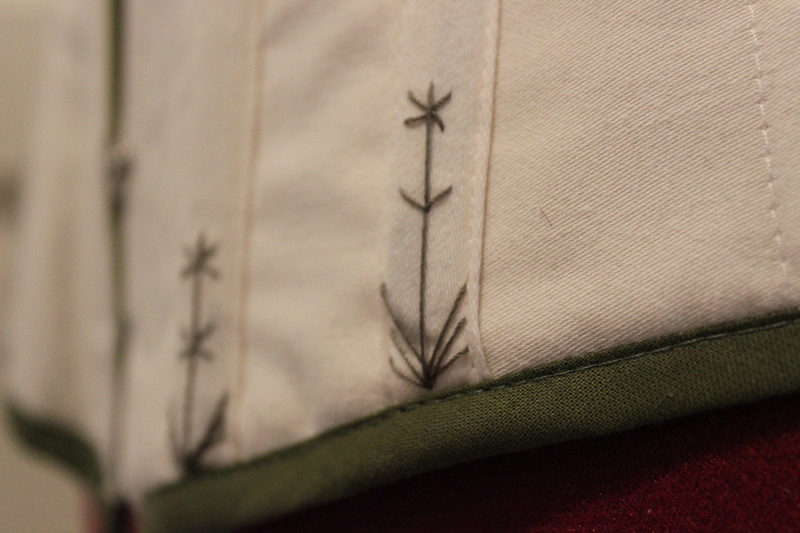 The lining sewn in. (One side turned and pressed, and the other one still in-side-out). Now it’s time for the boning. 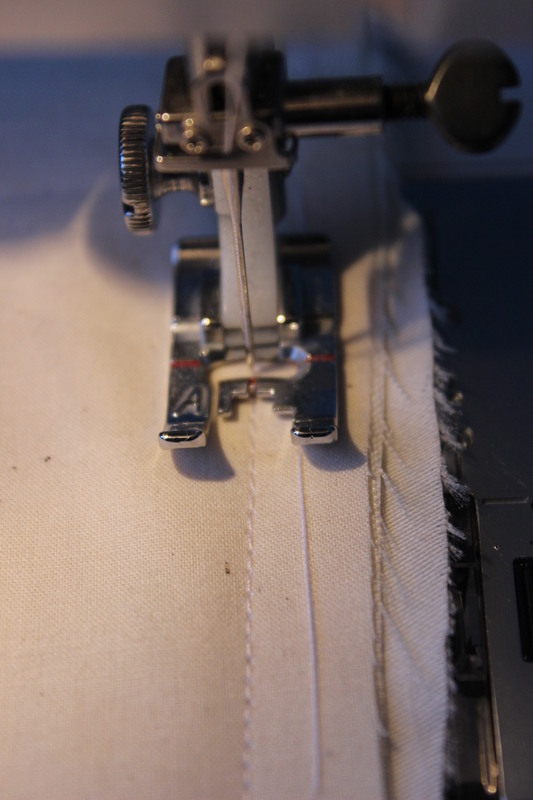 If you put them in to early you will have big trouble with lining and sewing. This is what I used for boning. 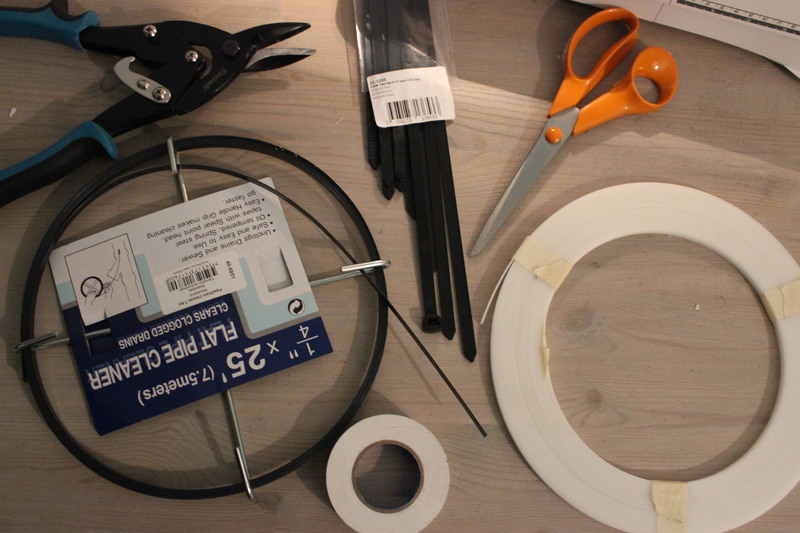 (Left to right: Heavy pliers, methal pipe cleaners, electrical tape (to cower the sharp edges on the metal), plastic cable ties, siccor and plastic whale bone). 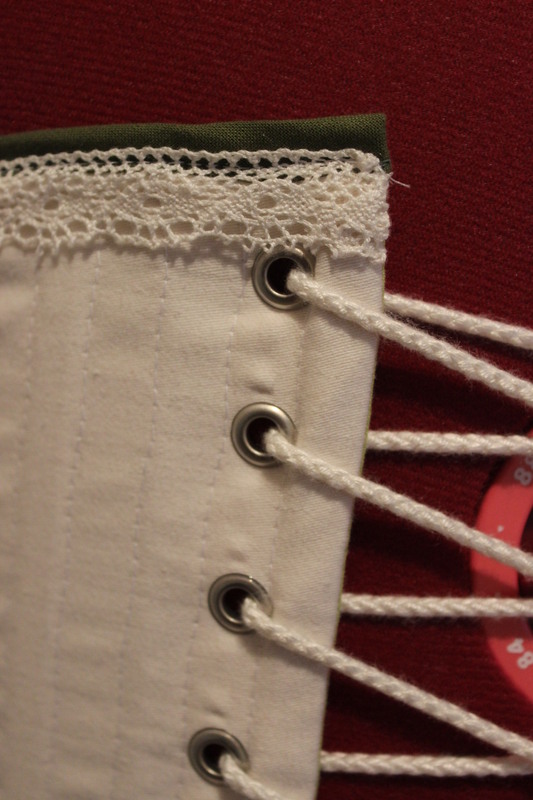 As you can se I used all of my three boning options on different parts of the corset. 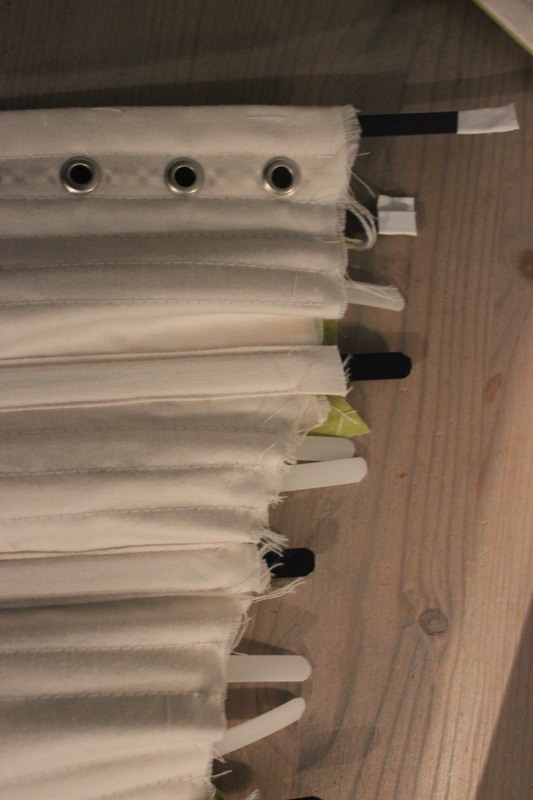 Using the strongest (metal) ones close to the lacing, and the regular cable ties in the boning chanels, and then using the softer syntetic whalebone in between. 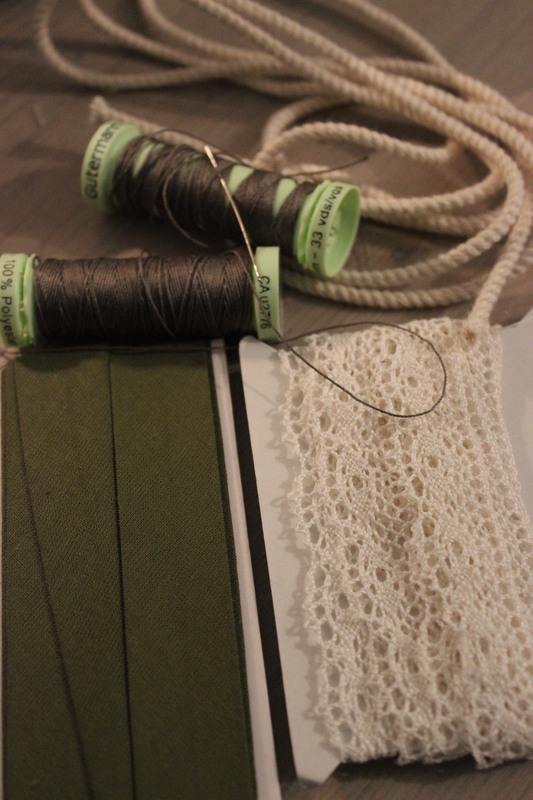 Then I grabbed my finishing/decoration kit (green cotton bias tape, white cotton lace, green button hole thread and cord for piping (which I did in my first few steps). 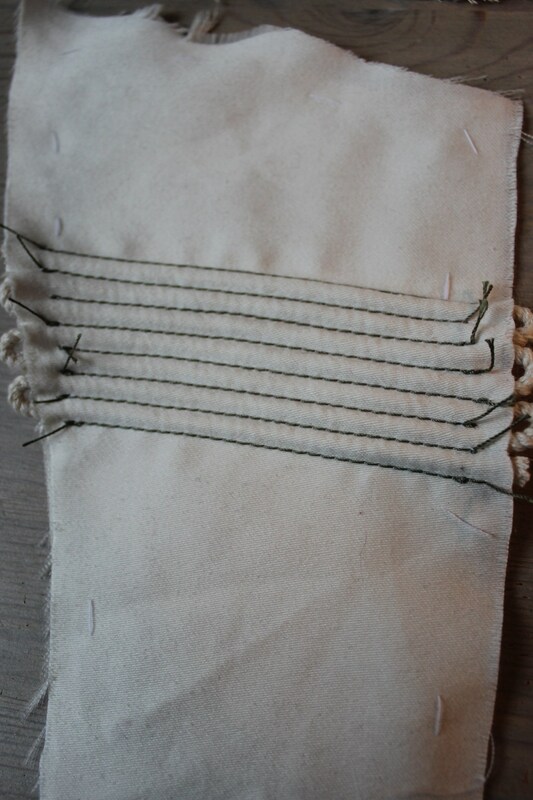 and then attaching the bias tape. 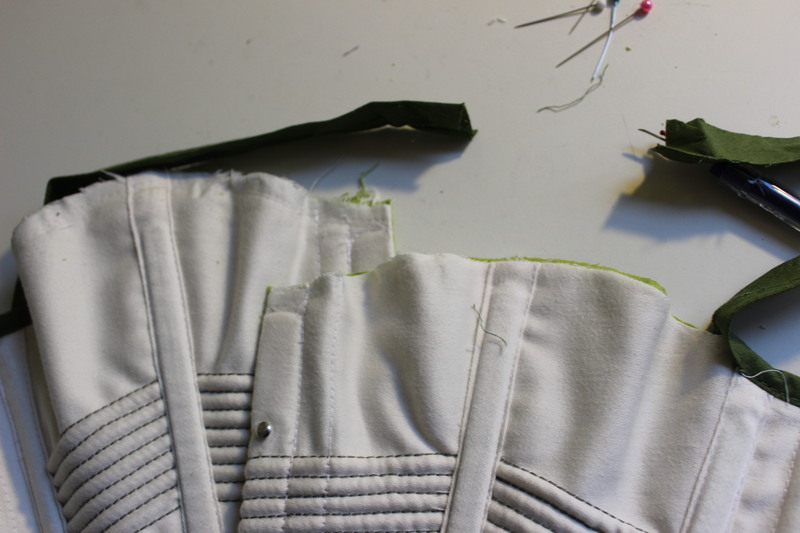 At this point it was time for me to stop working on the corset, and leave it for a couple of weeks. 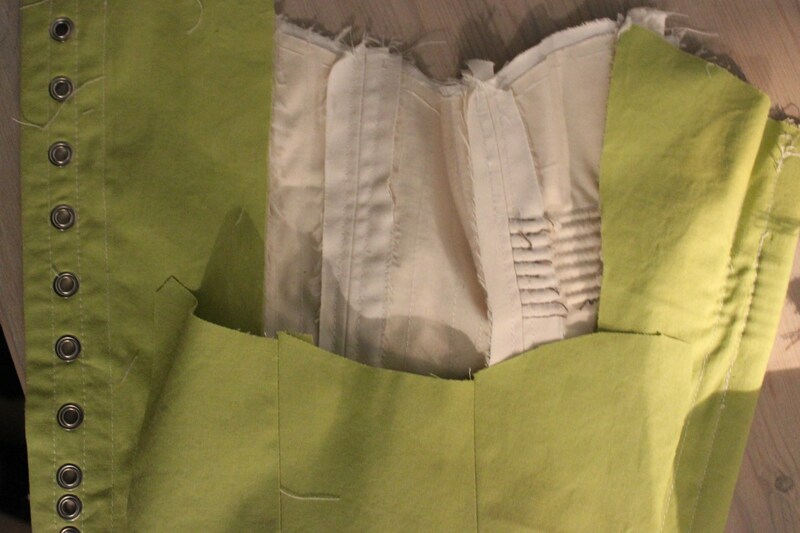 You see, I started this project begining of december, since I needed to have the corset to be able to start on my opera gown. 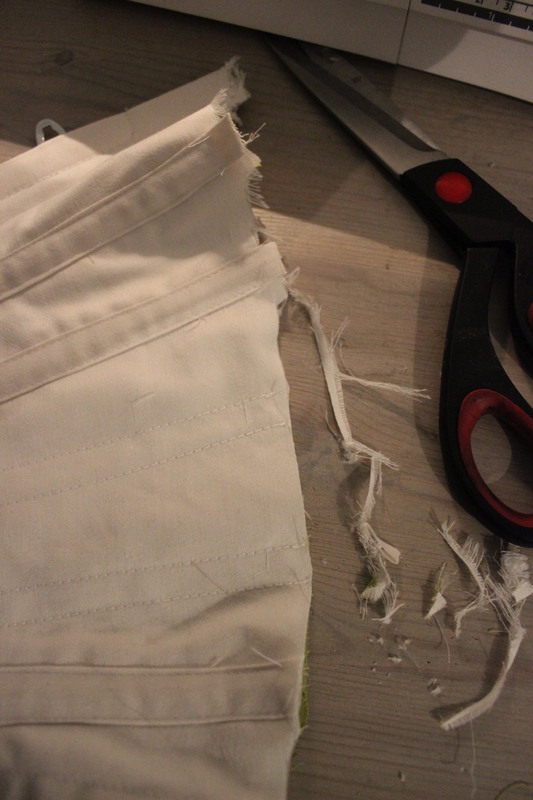 And since the HSFs rules says that no item should be finished more then 6 weeks before the challenge du date, I needed to paus sewing for a while. 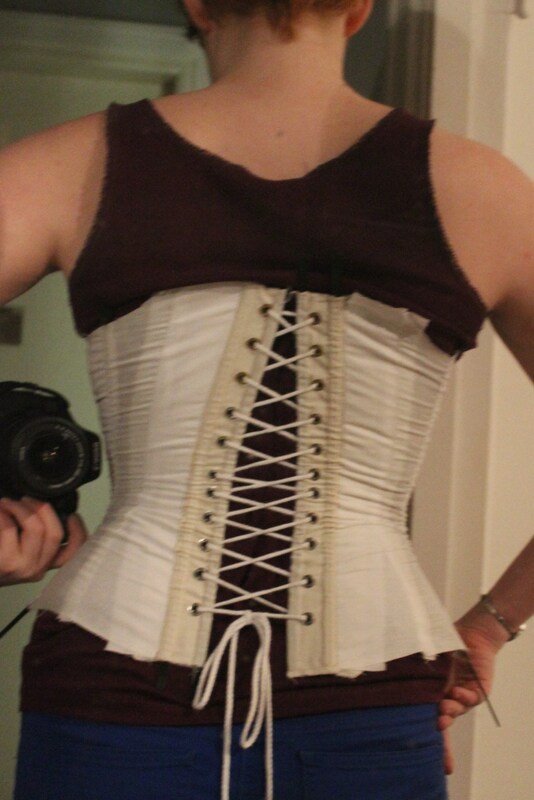 And since it was only the decorations left, the corset was fully functional and could still be used to build my gown upon. So, last week (3 days before the grand bal) I finaly had the time to finish it. 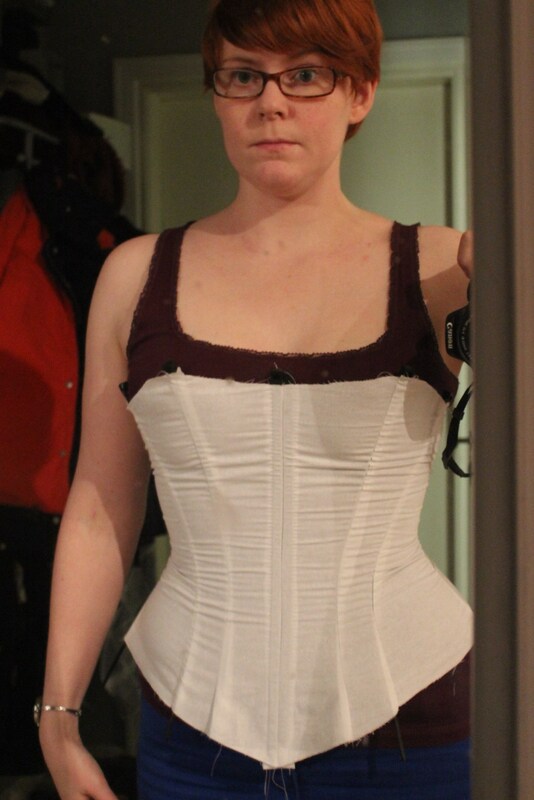 By now I had tried it on several times, and had realised the bust needed to be re-shaped to get a smoother look. 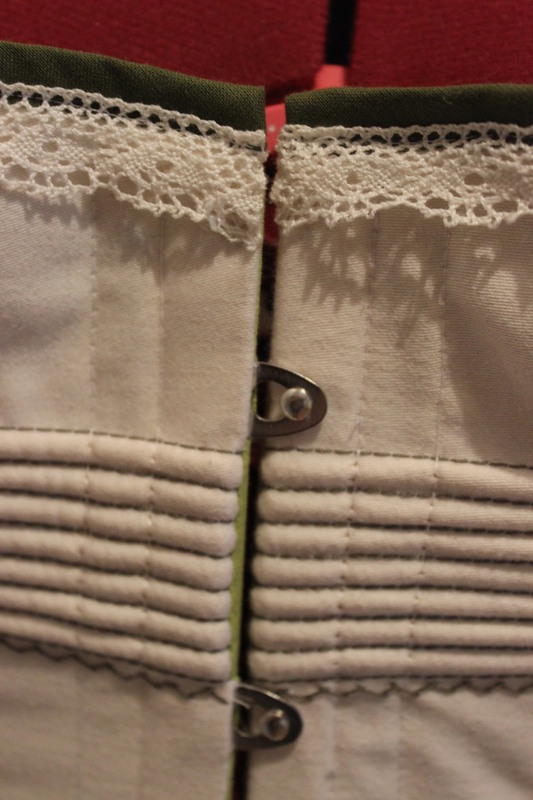 So I ripped some of the bias tape of, re-cut the top and stiched the bias tape back on. 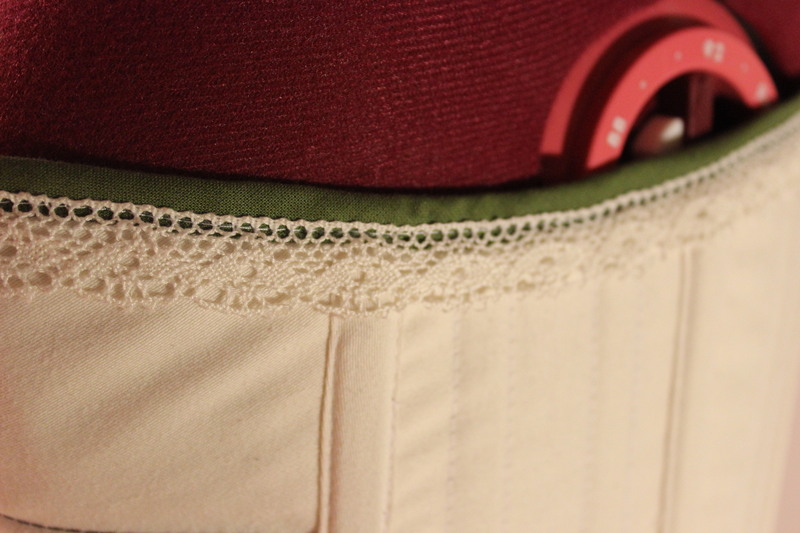 Then I decorated it with the white lace and some green flossing. Innovation: The 1880s was known for it’s innventions (actually the whole 19th century was). 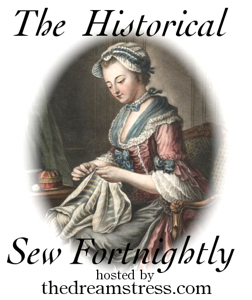 My item can both represent the whole era, or the new style of hourglas figure and bustled skirts made fashionable and avalaible thue to both the steel manufacturer, and the comercial sewing factories. 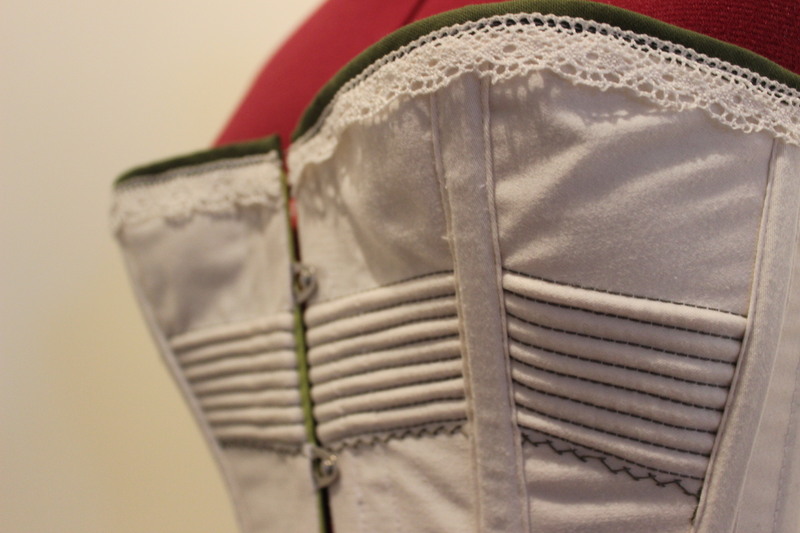 Some relativly new innventions in the 1880s corset was: The split busk, the metal gromets and the steel boning – all innvented during the 19th century. 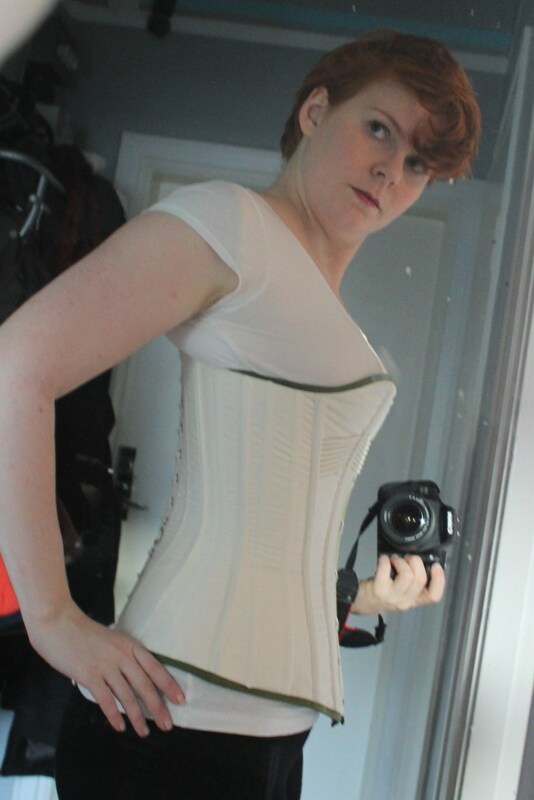 Pattern: Nora Waugh “1880s corset” from Corset and Crinolines. 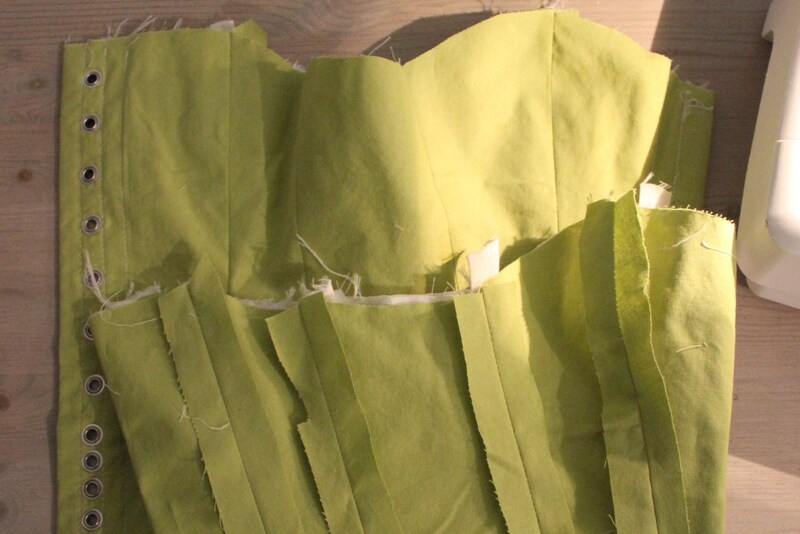 Fabric: 0,5 m ivory cotton sateen, 0,5 m ivory cotton lawn and 0,5 m light green cotton. 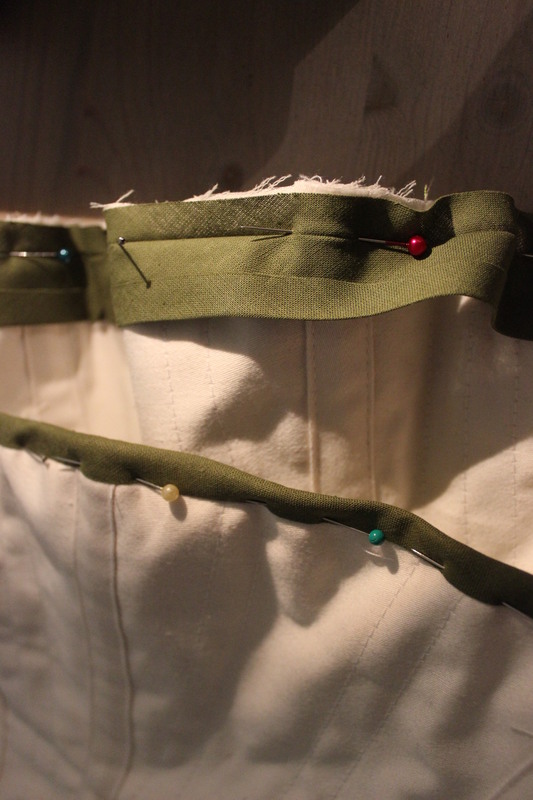 Notions: A 33 cm planchett, ivory thread, green buttonhole thread, 30 silver gromets, 4m cotton string for piping, 4 m ivory cotton laces, ca 10 m of boning (2,5 m steel, 8 heavy duty cable ties and 3 m syntetic whalebone), 2 m green biastape and 1 m ivory lace. How Historical Accurate: Pretty good. 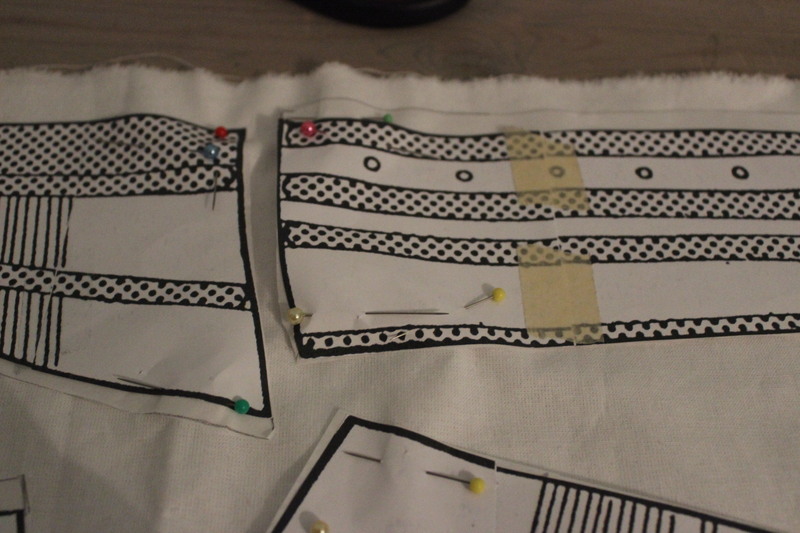 The pattern’s correct and the sewing machine was widly used by this time, even though I’m not sure of the right assebly tecniques. The material used are accurate, part from the plastic bonning. So maybe 7/10. Cost: 400kr (44Usd) (all those notions make it so expensive). First worn: On January 25 for a grand bal (Oskarsbalen), and then a few days later for a photoshoot. Final Thoughts: It tured out great. 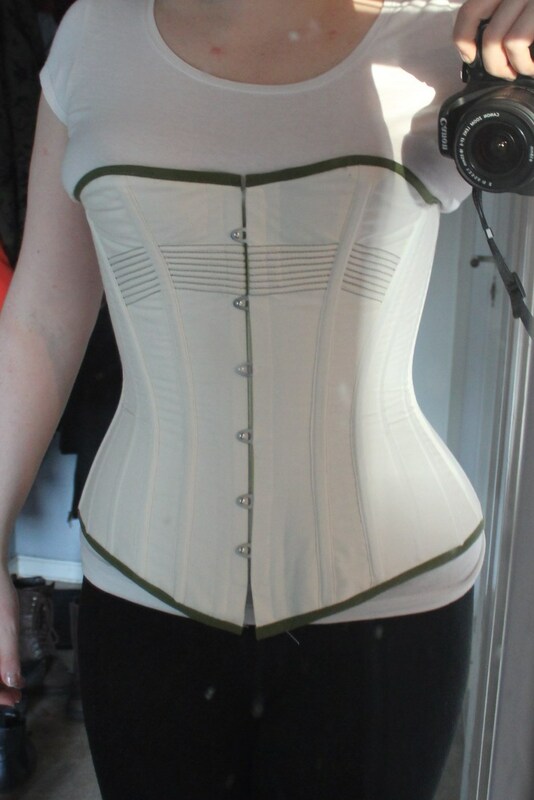 It’s quite comfortable (even after a couple of dancing hours) and stil gives me the desired hourglas figure. 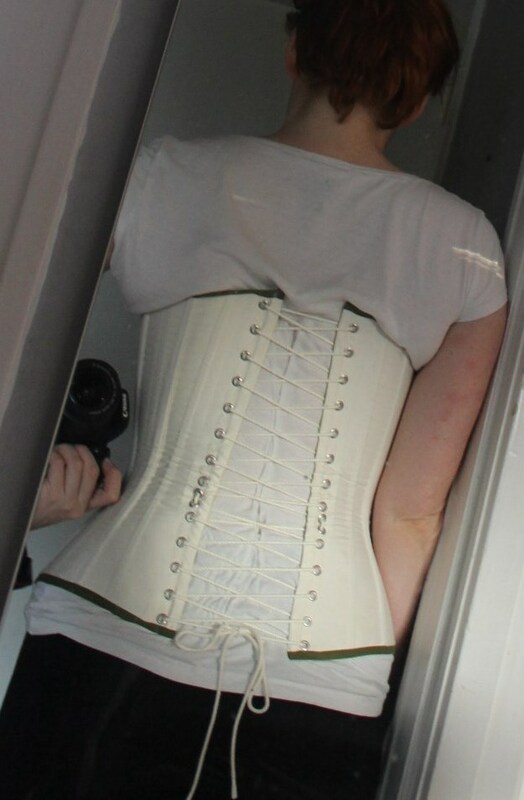 I think this will be my “go to” corset for many costumes. And it was so nice to meet you at the ball! And it was nice to meet you to, perhaps we will again in the future.